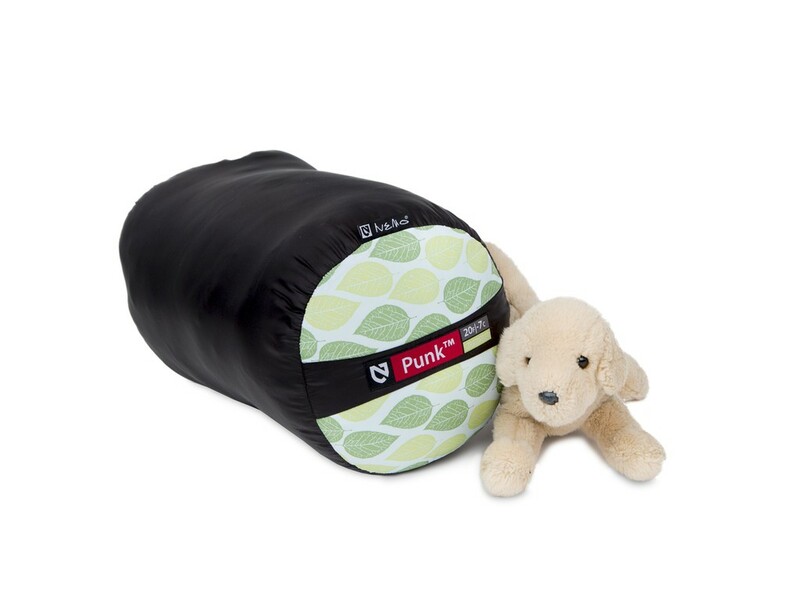 Nemo Punk Kid's Sleeping Bag - Designed for kids ages 4-8 or up to 152cm tall. Designed for kids ages 4-8 or up to 152 cm whose parents are looking for a bag that is hight quality and versatile. 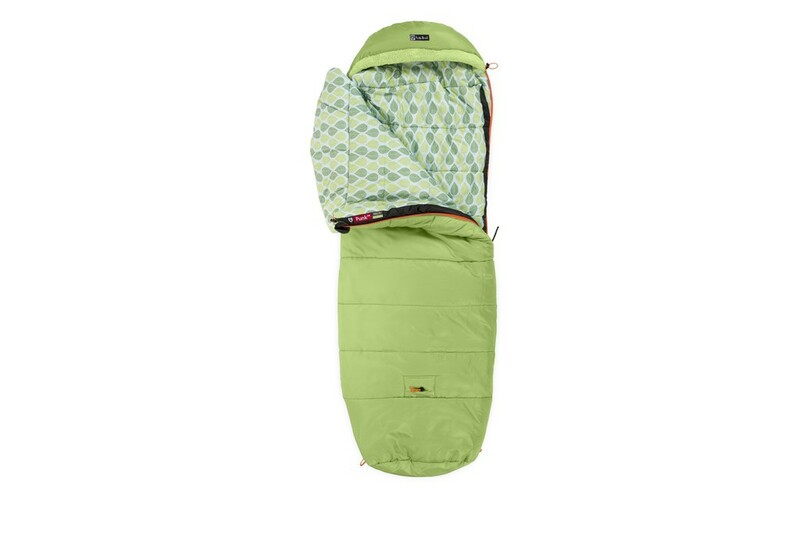 Cinch adjustment at both the top and bottom allows this bag to grow with your child, keeping them snuggled up until they're ready for an adult sleeping bag. 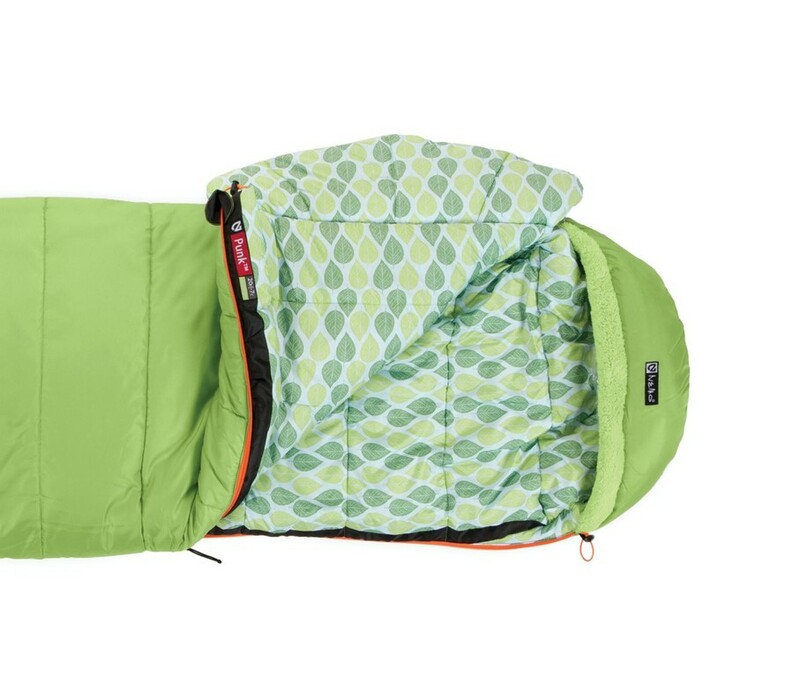 An integrated pas sleeve fits most 52 cm sleeping pads, keeping everything in place throughout the night, making sure your kids are as comfortable as they are in their bed at home. 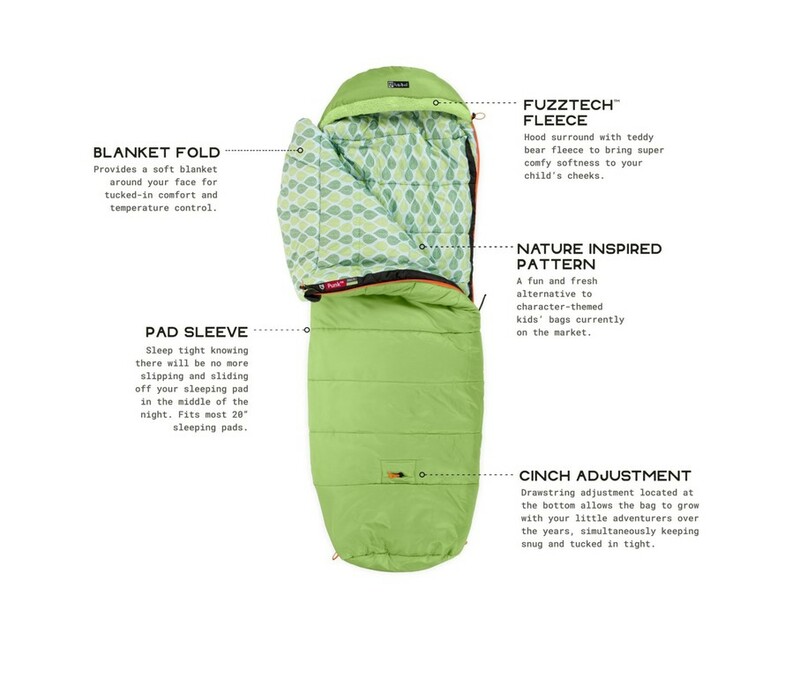 Insulated with premium synthetic Stratofiber offering the best blend of warmth, moisture resistance, and packed volume. Blanket Fold draft collar provides tucked-in comfort and temperature regulation. FuzzTech teddy bear fleece surrounds the hood for soft comfort. 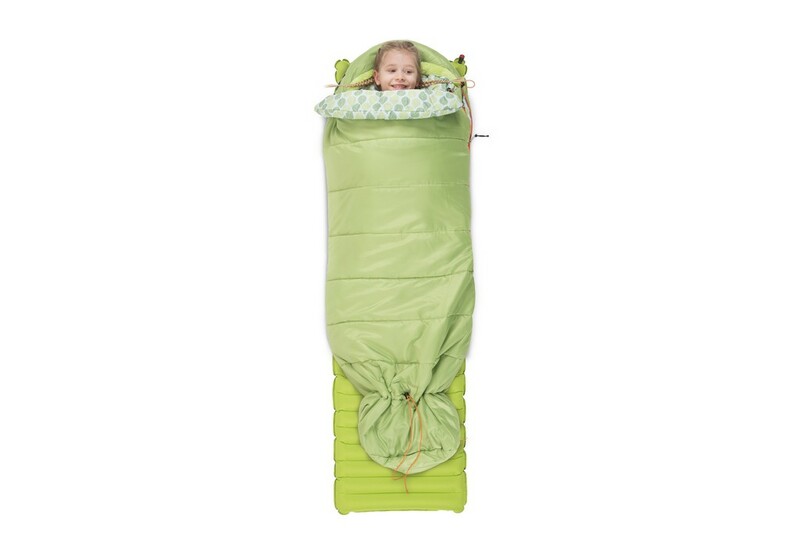 Included accessories: drawstring stuff sack.